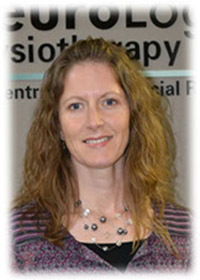 Erica is an experienced physiotherapist with over 15 years experience treating clients with a variety of orthopedic issues. Having always been an active athlete in various sports including volleyball, gymnastics, track and field, figure skating and touch football, Erica’s personal understanding of how the body works in motion is an excellent complement to her professional training, experience and compassion. She has Advanced Myofascial Release training, which she complements with patient education, exercise prescription, acupuncture and pain relieving modalities (e.g. Ultrasound, TENS).